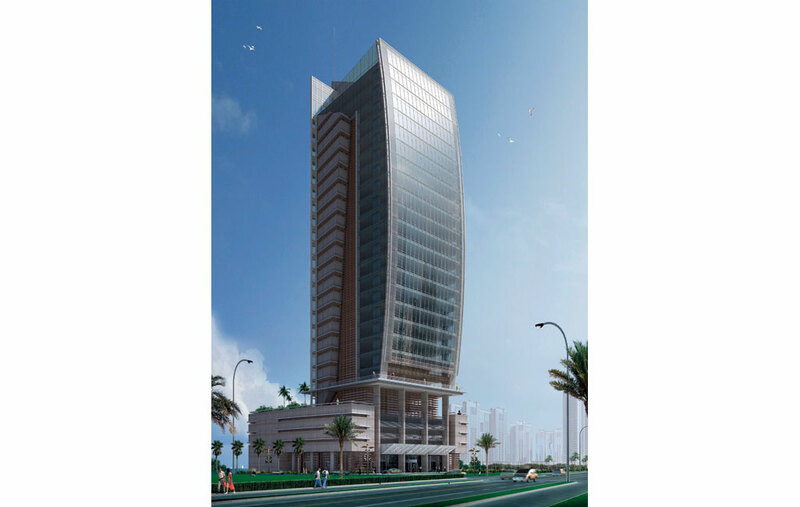 In 2008, Diar Consult was invited by a private investor based in Abu Dhabi to prepare a concept design proposal for a plot in the Saraya master planned development area of Sorouh, along the Abu Dhabi Corniche. The result is a 26-storey office tower with a multi-storey car park incorporated in the podium. The top floor of the podium is dedicated to a fitness centre, cafe, business centre and management offices, fostering a community feel for the offices. The tower massing is characterised by a vertically curved facade with a high degree of transparency to capture the sea views. The plan form that results from the curve varies from one floor to the other, allowing a range of incrementally sized floor spaces to be offered for rent.